In January 2009, when architecture writer Andrew Blum arranged to have his home internet service repaired, the technician who arrived at his Brooklyn apartment told him that the source of the problem was relatively low-tech: a squirrel had been chewing the rubber-coated wire that ran from Blum’s building. Not much could be done, the technician said, other than wait for things to get better on their own, and they did. But Blum was shocked by his realization that the emails and websites he’d been reading on the computer had first passed through a wire in his back yard; his wonky home service was a physical problem, not a strictly technological one. He decided to follow that wire to its other end. Three years later, he had written a book. “We treat the internet as if it were a fantasy,” he wrote in Tubes, which he finished last year, concluding that “thinking of the internet as a physical thing has fallen so far out of fashion that we’re more likely to view it as an extension of our own minds than a machine.” In many ways, this unmooring can make the internet seem like it’s nowhere in particular, or everywhere at once. But, as Blum learned, it’s very much in some places more than others. 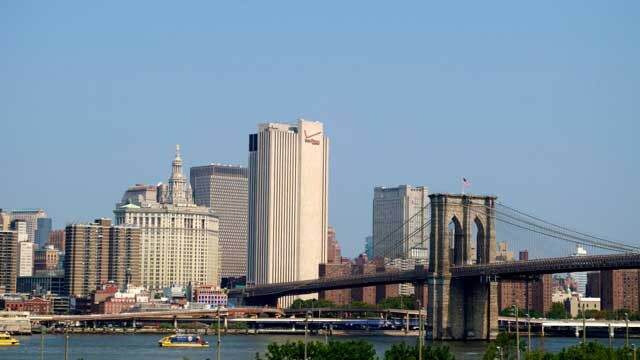 After this week, a lot more of it will be at the foot of the Brooklyn Bridge. 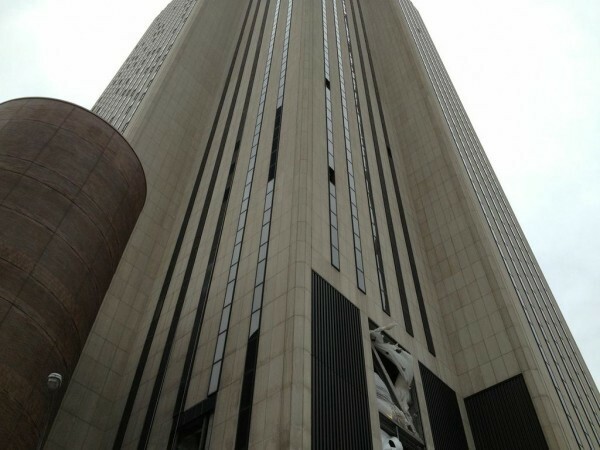 The New York Telephone Company building, a beige tower with thin vertical stripes at 375 Pearl Street, was built by the phone company in 1975 to be essentially a 32-floor shell around a machine: a few offices inside of a giant telephone switching control center. 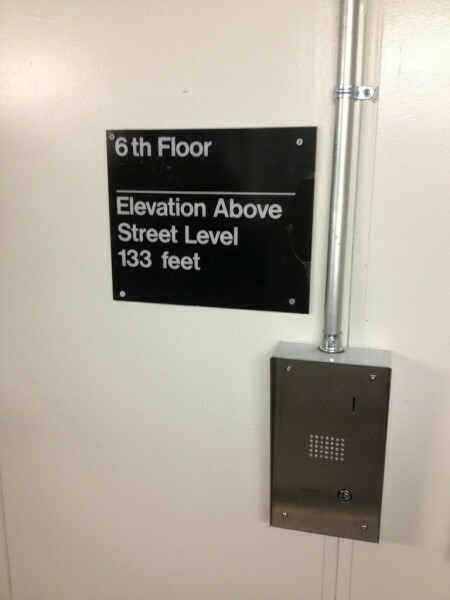 Verizon, whose logo faces the bridge from the building’s eastern side, still maintains an office on three of its floors, but the building remained mostly empty until the Sabey Corporation, a Seattle-based real estate company with an interest in commercial data centers, bought it out of foreclosure in 2011. 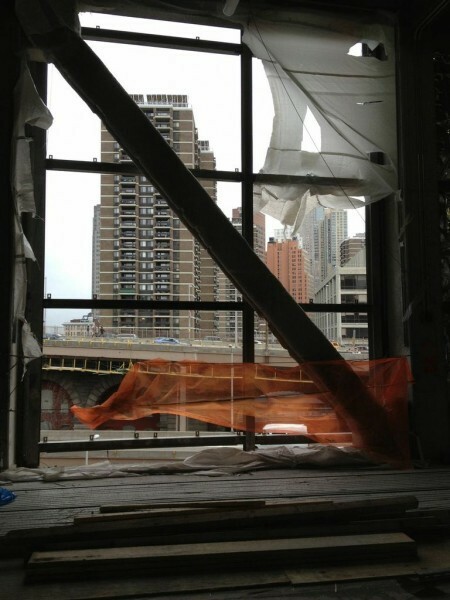 One recent afternoon, Blum was invited to put on a hard hat and have a look inside. The trio, joined by a few others, followed Michael Bosco, the building’s operations manager, to the fourth floor, and stopped in front of a gleaming Caterpillar generator. Less than two weeks before opening, this was still a live construction site. 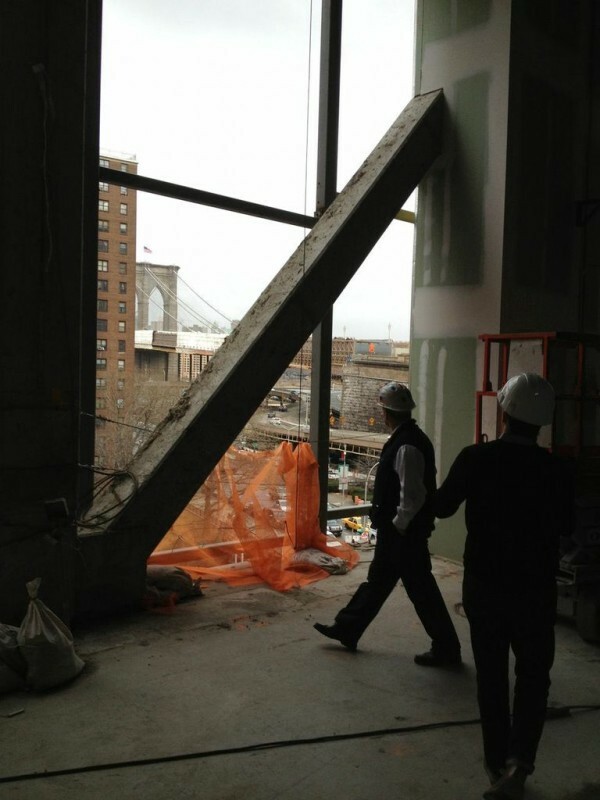 On the other side of the floor, through a pair of 20-foot holes where equipment would be installed, the Brooklyn Bridge was visible under a grey sky. “John Deere green,” Sabey said. “Detroit Diesel — Detroit is a blue engine too,” Bosco responded. Sabey called the construction “the second largest project on the island” — he was referring to Manhattan — though “a distant second to the Freedom Center,” still going up a little under a mile west. 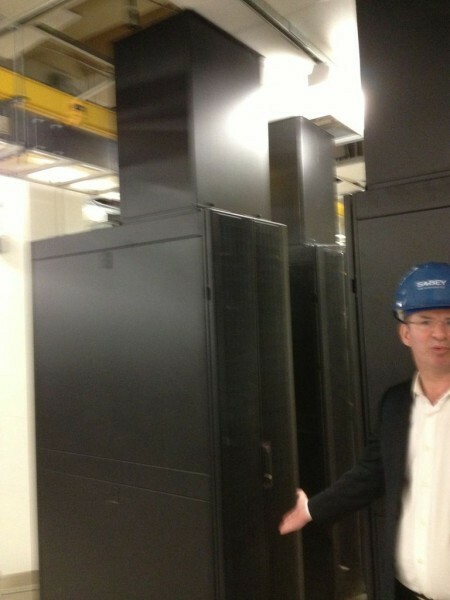 The building is as big, by square feet, as any rural data center in the country. 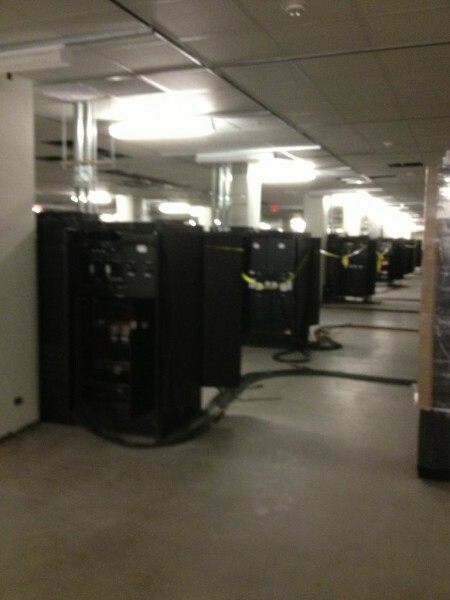 It will be the first data center to open in New York since Hurricane Sandy. Yet the changes inside the building hint at how a digital economy could replace a manufacturing one, without displacing the skyline. “It’s so striking to me because there’s this Ma Bell tradition of these big, of central offices, right? These big telecom buildings,” Blum stated. “And then you have this new, sort of ending current age of data centers, where nobody talks about them and we don’t acknowledge where they are. But my sense is that you’ll end up with a return to monuments. You end up with, as Google did, and as Facebook has done sort of subtly, advertising that that says, this is where we are. I do think it’ll be months or very short years before Google has a gift shop at 111 Eighth Avenue,” which the company purchased in 2010, generating headlines, after leasing from a third party. Alex Carp is an editor of the McSweeney’s Voice of Witness book series. Top photo by bclinesmith; thumbnail photo by Rudy Norff.